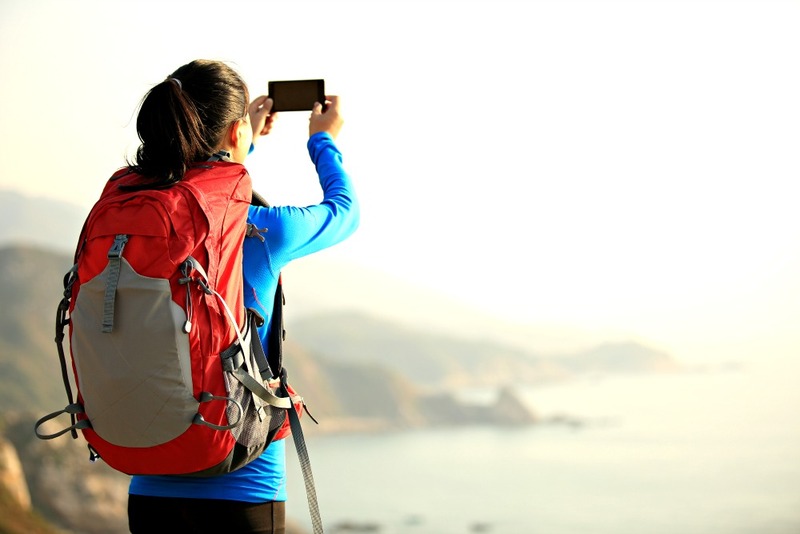 Looking to buy a new travel backpack for your trip? If you’ve decided to travel without wheels, read this guide on how to choose the best travel backpack. Why travel with a backpack instead of a suitcase? The simple explanation can be summed up in one word: convenience. Backpackers don’t stay at nice hotels with shuttle service to and from the airport. We go off the beaten path and that usually means there may not even be a path at all – literally. Imagine rolling a suitcase around on dirt roads, streets with gaping holes in the cement every few meters, and climbing up and down stairs at train stations lugging around a wheeled monster. It’s not pretty. Carrying a travel backpack (and packing light) will help you hop, skip, and jump over anything. Just pick up and go! Keep reading and find out how to choose the best travel backpack. Traveling carryon isn’t just about saving money on baggage fees; it’s also about packing light. 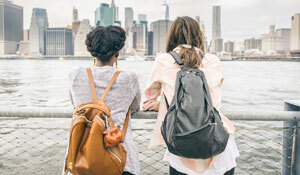 Choosing a travel backpack that’s smaller helps you pack less, which means you have less weight on your back and that ultimately equates to one magic word: convenience. No one wants to pick up a bag that’s bigger than them, is stuffed to the brim, and weighs a ton. Not only is it a strain on your back and a pain to carry when you’re walking for miles searching for the cheapest accommodation, but it also makes the process of traveling less fun. Depending on the length of your trip, you may be picking up your bag every other day or every other week. But at the end of the day, no one wants to carry a bulky, heavy bag. If you’re planning a long trip, this doesn’t mean you need a bigger bag. Packing for a 12-month trip is the same as packing for 12-day trip. Here, we’ll explore some size options for travel backpacks. Read these helpful packing lists to show you how. Regardless of your frame, backpackers traveling light tend to stick to travel backpacks ranging between 35 and 50 liters. 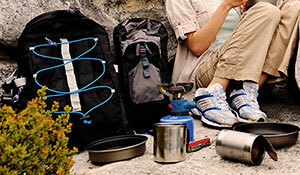 You will most likely also be carrying a daypack, and this usually varies in size from 15 to 25 liters. Your total space between these two should be 50 to 65 liters to maintain a good balance. When you first pick up a bag, you might think that there’s no way you’ll be able to fit all your belongings inside. 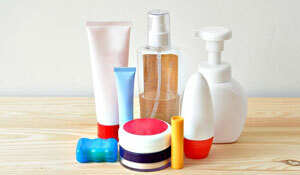 However, by using packing organizers and choosing your contents strategically, you’ll make it work. Refer to this video tutorial for more details. If you just can’t bear the thought of packing in the above sizes, try to choose a backpack no larger than 65 liters. Depending on the make and model, travel backpacks come in a variety of sizes. 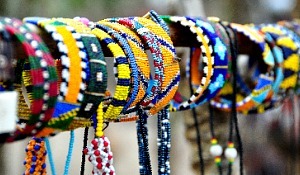 Some are available in small, medium, and large, while others are unisex (or one size fits all). You can also find backpacks made specifically for women. Other bags also offer adjustable torso options. If you’re very petite or tall, consider getting a bag with sizing specific to your needs and avoid one size fits all. At 5’2”, I’ve even traveled with a Junior or “teen” size bag that was the perfect fit and cheaper, too. Because everyone’s needs and body types are unique, it’s best if you test out the bags firsthand to determine what’s most comfortable for you. Do the straps sit well on your shoulders? Does the fabric on the straps rub uncomfortably against the back of your arms? 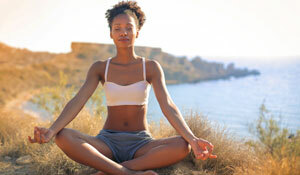 Does the hip belt align with your hips? Is the bag bigger than you? Choosing a top loading or side panel travel backpack is a tough decision and one of much debate. Personally, I’ve traveled with both and my preference is now panel access instead of top loading. Let’s take a look at both. Top loading travel bags are made with the backpacker in mind and include organizational compartments along with convenient features such as straps, mesh pockets, and ties, which allow you to attach all your odds and ends. (Read more details below in Features section). One of the best things about top loading bags is that they usually have several pockets that allow you easy access to your belongings and the ability to organize. 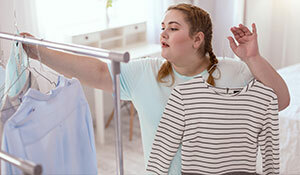 If you use the exterior pockets for your clothing, you can even use them to compress instead of using packing organizers. The bad thing is, the more you stuff in the exterior pockets, the less space you have inside. You’re then left with an odd-shaped space on the interior that can make it difficult to maximize your bags contents. Because a top loading travel backpack loads from the top, it also makes it difficult to find things and if you want to get something out from the bottom, you have to unload your entire bag. Also, many top loader bags have a pull tie closure, which means you can’t lock your bag as you would with a zippered bag. If you do choose a top loader, try getting one with many pockets and useful features such as this Osprey Aura, which I used on my RTW trip in 2010. Learn now to pack for a Round-the-World Trip with this RTW packing list. Front panel travel backpacks are more like a suitcase – they zip open allowing you convenient access to all your belongings. There’s that word again: convenience. For safety, it is also common to find side loaders with zippers that lock, which help you secure your belongings when you’re not in your accommodation and through transportation rides. 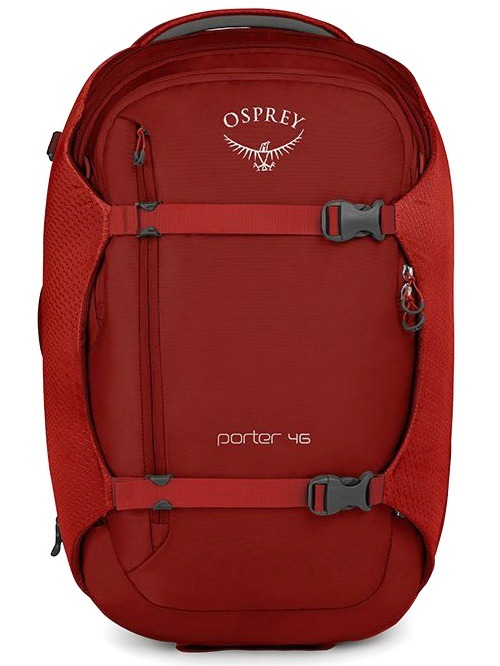 I love and highly recommend the 55 Osprey Farpoint with a detachable daypack. Read my full review to find out why this is the best travel backpack for any trip. Watch this video tutorial why packing cubes are an essential part of your travel gear! Top loaders tend to have many cool exterior features that many front panels don’t; but ultimately, it’s the convenience that side panel bags offer that make them the best travel backpacks in my book. Reading all about a bag’s cool features is great – if you know what they’re for. Here’s a quick guide to understanding what all these little things can be used for. Water Resistant Materials: This is one of the most important features for a backpack because you don’t want your belongings to get soaked in a sudden downpour or boat trip. 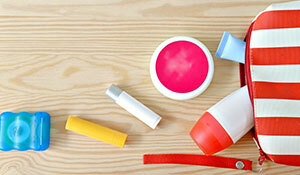 Try drying your wet clothes and shoes in freezing cold or ultra humid weather conditions – not fun. Internal Frame: This is a bit of an “ancient” term as most backpacks nowadays have internal frames. All you really need to know about this is to NOT buy a bag with an external frame. Shoulder Harness: Padded shoulder straps that adjust are key to how your bag feels and fits. Make sure it’s cushioned and falls evenly on your shoulders. Hipbelt: It’s important for your bag to have a sturdy and adjustable hip belt so the weight on your bag falls on your hips not your back. Make sure it aligns with your hips when trying it on. Compression Straps: These types of straps are great because they compress your gear but are also good to hold a wet towel, your jacket, or any other item you temporarily want to attach to the outside of your bag for convenient access. Bungee Ties and Drawstrings: These features allow you to attach items temporarily or even permanently that don’t fit or you don’t want inside your bag such as dirty tennis shoes, a sleeping bag, or plastic bag with wet clothes. 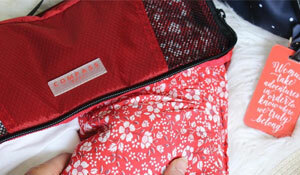 Sleeping Bag Compartment: This is a built-in space within your bag that fits a sleeping bag. Even if you don’t plan on carrying a sleeping bag, this space can help you organize other items like clothing, shoes, and other essentials. Sleeping Pad Straps: These straps are made to carry a sleeping mat or tent but they can also be used to carry other large or odd-sized items such as a yoga mat. Air Space Ventilation: Proper ventilation helps provide your bag room to breathe and prevents added sweat on your back by keeping direct contact away from your skin. This is helpful when you carry your bag for a long time, but if it’s hot, your back is probably going to get sweaty anyway. If your bag is going to get stolen, there’s not much you can do to prevent this and I don’t recommend those heavy metal systems that people buy but then never use. This is why travel insurance is good and you should carry your most valuable possessions in your daypack, not your backpack. However, the reality is that the majority of thefts are due to convenience, so in this case, a backpack that has lockable zippers will help ward off any wandering hands most of the time, making a bag with safety features such as this a top contender for the best travel backpack. In 5+ years of travel, I’ve personally only experienced one theft and it was completely preventable. It was the last week on my RTW trip and I got comfortable and lazy. It was the one time in my entire 9-month trip that I didn’t carry my bra pouch with my money. Instead, I left it hidden in my top loading backpack that didn’t lock and someone stole $100 cash. I suspect it was a girl in my dorm. In another incident, someone rummaged through my belongings while I was away on a dive trip. When I came back, everything was out of place but all my valuables (money and passport) were locked away inside my zippered side panel backpack so the thief didn’t steal anything. I suspect it was the hostel workers. Moral of the story is: get a backpack that LOCKS. 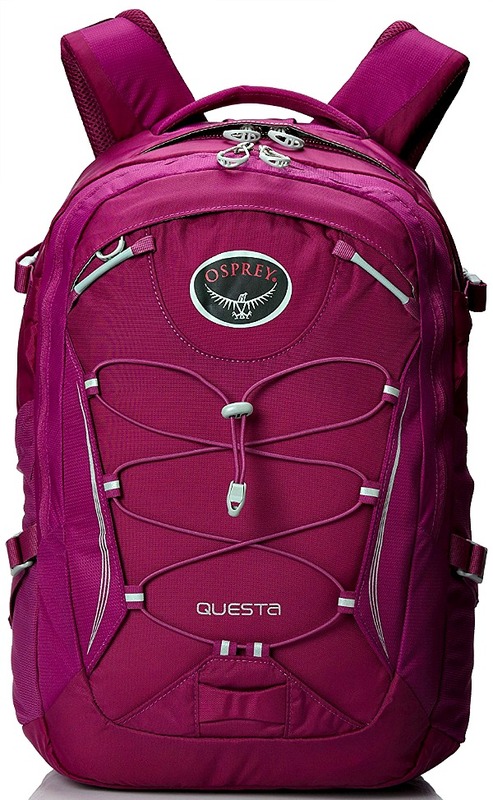 Read our Osprey Questa review to learn more! Let’s face it; travel backpacks are expensive. No one wants to spend hundreds of dollars on a backpack. What you have to remember is that this is not your average backpack like the type you used in school. This is the thing that will act as a “home” to all your belongings for the duration of your trip. You need that home to be built to last. Backpackers absolutely abuse their gear and a backpack is no exception. Your bag will see so much abuse from you along with transportation baggage handlers, and will also be placed on the roughest and dirtiest of surfaces. You can’t have a cheap bag that rips and falls apart. You get what you pay for and, in this case, you need a bag that can handle the test of travel. This doesn’t mean that you should buy the most expensive bag on the market. You just need to know why your bag is important. So much so that you will probably even become very attached to it. When I found the perfect bag for my RTW trip, it was $175, which was so much more than I wanted to spend on a backpack. I waited for a holiday weekend (Thanksgiving), which paid off because not only did it go on sale but I paired it with a coupon I received for signing up to a mailing list. I also received free shipping, so in the end I only paid $125 for my perfect bag. Big savings! Shop around and compare features and prices on websites such as REI, Sierra Trading Post, eBags, and Amazon. Look for close-out options like REI Outlet where I bought my first backpack. If you can, go into the store and take a look at your options so you can determine what style, size, and brand suits you best. 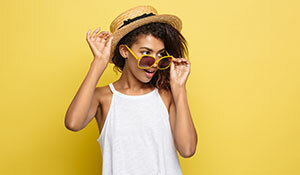 If you can’t go into a store to take a look at your options, order your top two or three choices from a company such as eBags that offers free returns. I ordered my new Meridian in red and black to see what color suited me better. I returned the red and had my money back in my account within a couple of weeks. 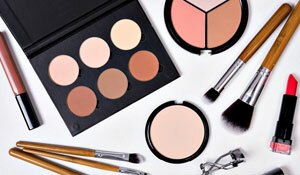 Sign up for email updates from online retailers that offer you a discount for signing up. Shop on holiday weekends such as Easter, Memorial Day, Labor Day, Thanksgiving, and Christmas to get the best bargains. 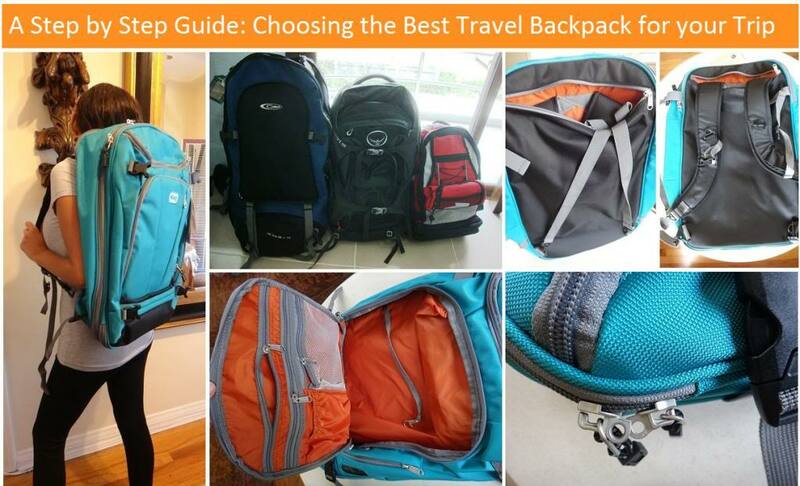 For additional information on how to choose the best travel backpack, watch the video below! Once you’ve determined the above items and have reconsidered all your packing choices, it’s time to take the bag for a walk. Can you handle wearing and walking with the bag for 15 minutes? Can you pick up your bag with ease? Ideally, your bag should weigh no more than 15kg. A good range is 7kg (for an ultra-light packer) and 13kg (for an average packer). For long-term travel, my bag weighs 10-13kg with new toiletries and a Maximista 15-piece packing list. A general rule is to pack everything you think you need and then cut that list in half. 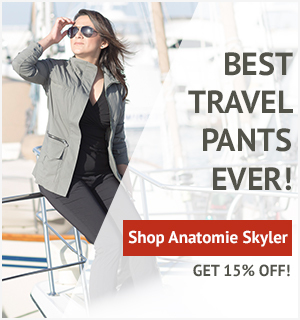 For guidelines on what clothing to pack, please read this post on How to Choose Travel Clothing for Travel and RTW packing list. TFG recommends: Always use a rain cover to keep your bag protected and clean and your belongings dry! 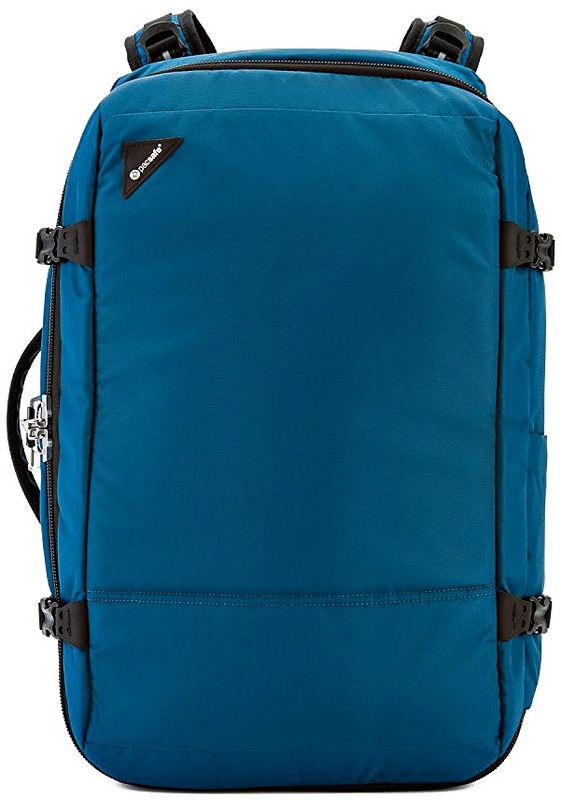 What do you think are the best travel backpacks? 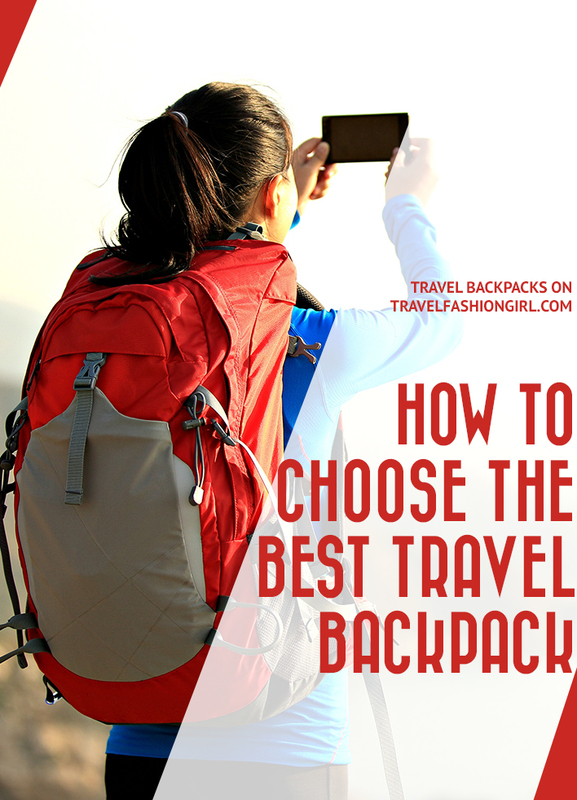 Hope you enjoyed this post on how to choose the best travel backpack. Please share it with your friends on Facebook, Twitter, and Pinterest. Thanks for reading! I use to carry a 45 liter backpack. But I’ve gone smaller and now take only a 35 liter Minaal 2.0 My clothes get “ranger rolled” for compactness. And I don’t take more than the set of clothes I wear on the plane, plus two or three more sets. never more than four all together. I wash my clothes in the sink or drop them off at a laundromat. Lots of them in south and southeast Asia will do a full load for a buck or two. Washed, dried and folded. My Minaal opens like a clam shell to find everything easily… has a nice laptop compartment, and zip away shoulder straps and waist belt if I want to carry it like a duffel bag. Airlines the world over allow me to carry it on with me. I take a tiny packaway Eagle Creek day bag to use at my destinations. I pack the same whether going for two weeks… .or six months or longer…. one, 35 liter Minaal…. It’s nice not using roller wheelie luggage. I like having both hands free and not dragging something behind me. 67 years old this year.. (2018)…. I still carry my own bag on my back. Minimalist, One Bag.. Carry-On Travel. packing cubes are terrific, but they do add weight. Another great read. Like you said Europe can get crazy busy in the summer I prefer to travel around in the winter months. Not only less crowded but also alot cheaper! Good luck with the tour as well! Hi, great post! Do you know if a 45L will work on the budget airlines in Europe (such as RyanAir)? Any advice is appreciated, thank you! Hi Julia! 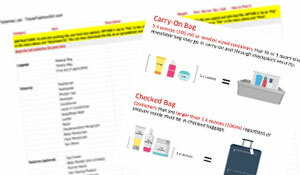 To be honest you’d have to check the dimensions of the bag and then cross check with the information on the airline’s website – that’s the best way to know. If it’s not exact then it probably won’t work – they’re super strict. You can always check your bag for a fee which isn’t so bad if you pay in advance but its super expensive if you have to check it at the airport. So my friends and I will be backpacking around Europe for about 4 weeks. This will be my first time backpacking around ever, so I’m looking for a good travel backpack that isn’t too expensive ( ’cause I will probably never use it again, but I hope to!). I know that you recommend Osprey Farpoint 55 Travel Backpack but what about the Kelty Women’s Redwing 40-Liter Backpack? Hi Bekah! I haven’t used the Kelty as I’m a big Osprey fan. Are you planning to take any budget airlines? I’ll post your question on Facebook to see if anyone’s used the Kelty before. 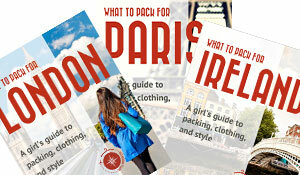 keep an eye out for some replies: https://www.facebook.com/travelfashiongirl thanks! Thanks for the reply! Would you recommend that I go big with 55L or since I’m only going to be traveling for a couple of weeks to go with smaller 40L? I would recommend you travel with a 40 liter bag and a 3 liter purse plus a very light weight collapsible day pack that you normally carry in the larger bag. Note that the Farpoint 40 is a couple inches shorter than the Farpoint 55. The Farpoint 55 will not be acceptable on all airlines. The 40 liter bag has more than enough room to carry every thing you need. Use packing cubes and keep the total weight under 18lbs. Have fun watching other travelers struggle with their large packs. I’m embarking on a 3 to 6 month (or longer!) European backpacking trip next year over the summer / autumn period. 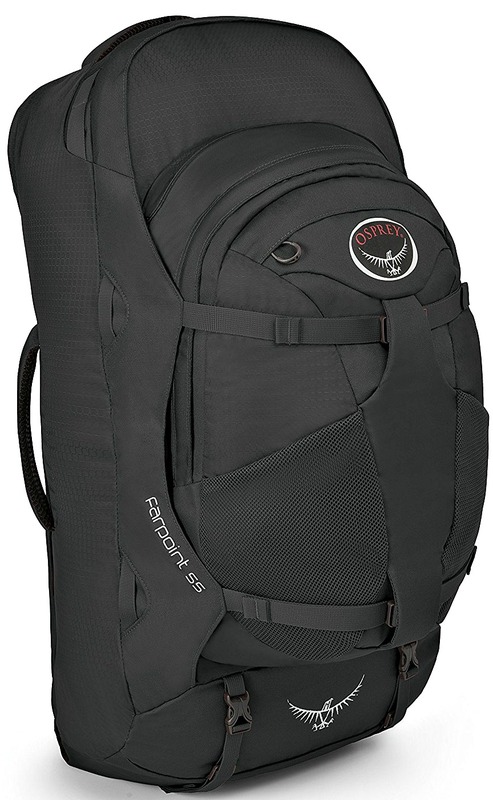 I’m thinking of getting a 27L Osprey backpack for the trip, but I am wondering if this is just going to be too small? 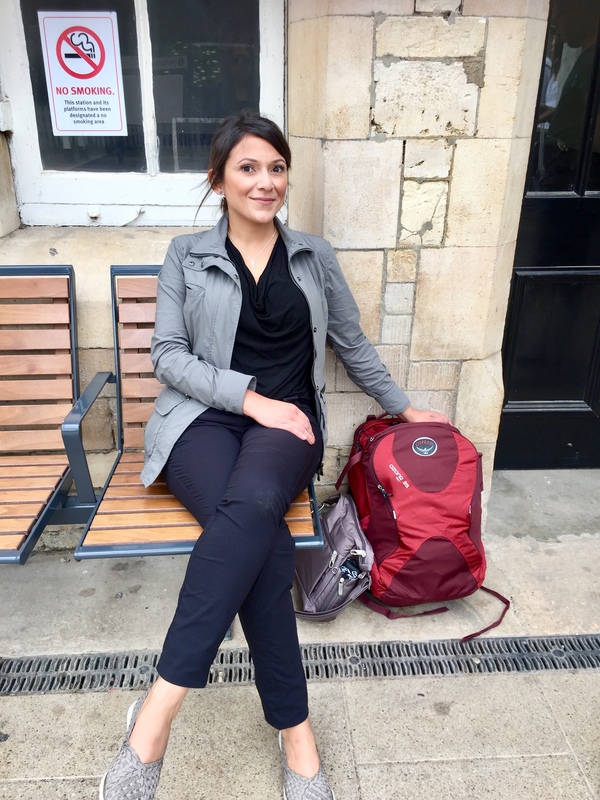 I have a 35L bag atm, and it does feel a bit to big & bulky for getting around with ease – but I do want to be able to have some flexibility as well! By the way, I love your website and blog, you’ve done an amazing job! next time when I am going for trip I will remind your tips. Will my height is 5.3 which backpack suits me? Which size would be better for me?? I love that red bag in the photo – do you know what brand/size that bag is? Where is this blue backpack in the pictures from its a perfect size!! Just a few hours ago, I purchased the eBags’ Mother Load convertible bag (plus other packing accessories)! I am so excited to get it in!! Even better, since I have first heard about this bag (on this website), I have been eyeing the normal sized one for awhile – then to my surprise when I was about ready to finally order it, I learned it now comes in a Junior size! The length is 19.5″ for the Junior, instead of 22″. The smaller size will be perfect for puddle-jumper planes, and airbus standards 🙂 Thanks for all the amazing tips! I have the eBag backpack pictured and I love it. I was worried because at 5’3″ large backpacks are usually not comfortable but this one adjusted to my size. 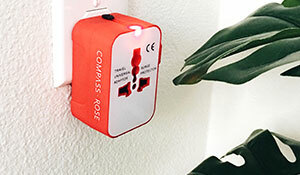 It is convenient and really well-designed. No more suitcases for me! That’s great to hear! I’m 5’2″ so it didn’t feel overwhelming on me, happy it adjusted well to your frame too. Thanks for commenting! Awesome post. It is partly thanks to you that I got my Osprey Farpoint 55! I have yet to use and abuse it on an extended trip, but I have had the chance to take it on some week-long trips and it’s worked great! It has taught me to be a better packer for sure, because I know that for a week long trip it really doesn’t need to be stuffed to the brim…if it is, I need to rethink! Paired with some awesome packing cubes, it is by far the best way to travel! That’s awesome! I love the bag so much I’m bummed I can’t use it anymore due to back problems. It really is the best! Thanks for commenting! Very detailed guide, Nice! I recently purchased the Farpoint M/L (I’m in between sizes) and it fits well, but after I adjusted the shoulder and hip straps I noticed that I had a lot of extra strap hanging everywhere. Any tips on how to mange the mess or should I try the S/M, and see I it eliminates the problem? Any suggestions would be much appreciated, Thanks! Hi Niki, sounds like you might need the S/M for a better fit. Are you able to return the bag or go somewhere to try out the different size?